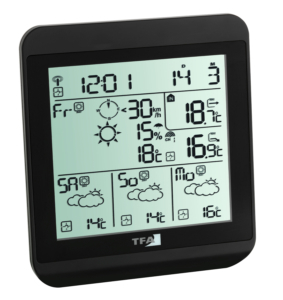 The "METEOTIME STAR" Weather Info Center provides you with a professional weather forecast for the current day and the next three days. 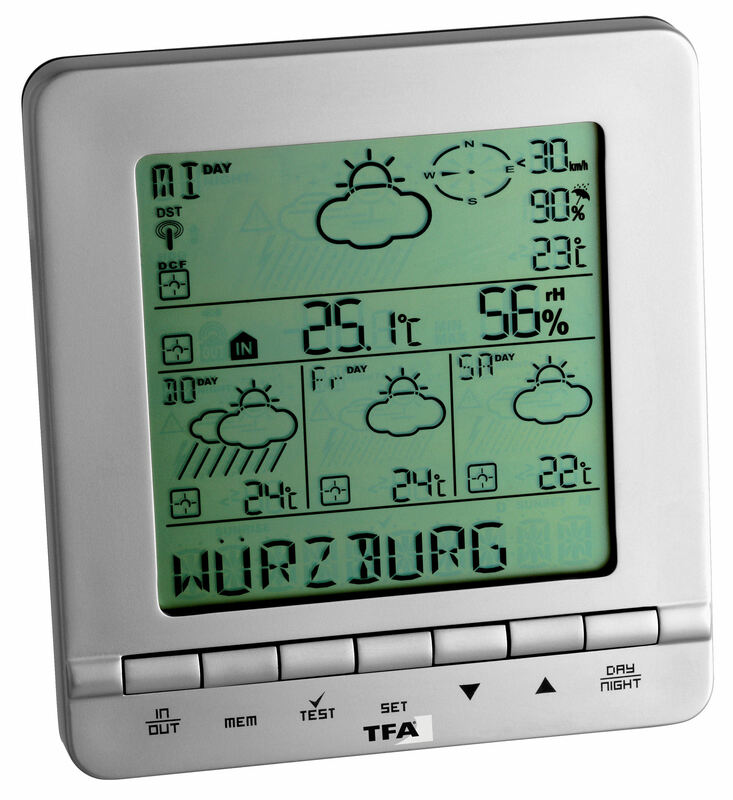 The weather forecasts prepared by meteorologists are broadcasted via the DCF77 time signal in Germany and they can be received almost everywhere in Europe. The reception area is divided into 90 meteorological regions in total: 60 regions with 4-day forecast, 30 regions with 2-day forecast. 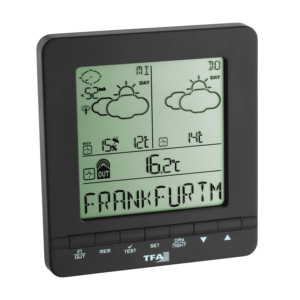 Simply select the chosen region and the current weather forecast is shown on the display. 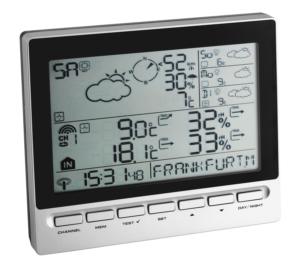 In addition, you receive other useful weather information such as maximum and minimum temperatures; severe weather warnings as text display in 7 languages, or the probability of rain, snow and hail. This way, you always have a quick overview of the weather over the next few days. The update is made several times a day. 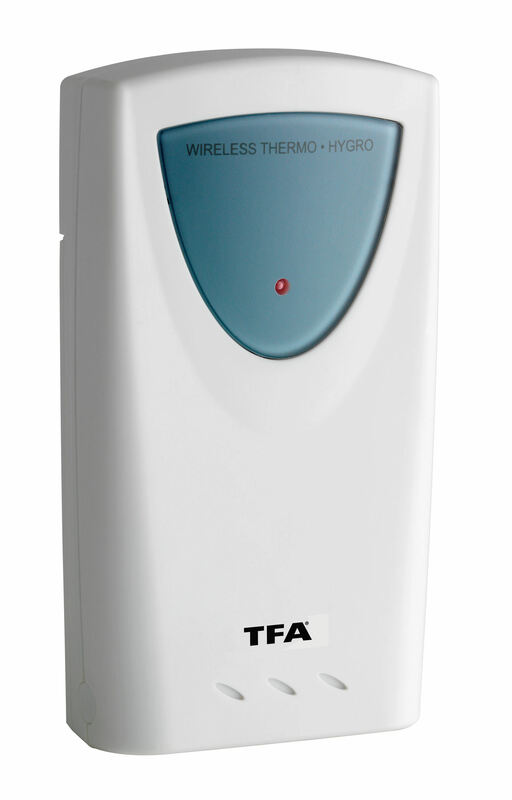 A separate wireless transmitter determines the outdoor temperature and humidity at the location; the device’s internal sensors measure the indoor climate. Time and date are also updated via radio transmission.